I graduated from Greenfield Community College’s Stillpoint Program in 2005. After graduating from the 2 year massage therapy program, I opened Centered Healing Therapeutic Massage in Brattleboro VT. 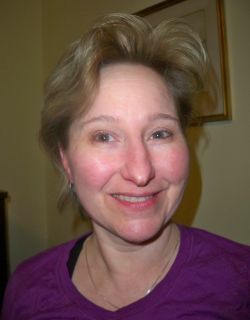 I provided pre-adjustment massage therapy for Dr. Marcy Jones' patients at Vt. Chiropractic Orthopedic from 2005 - 2010. I became a Nationally Certified in 2006 and Board Certified in 2014. Board Certification is the highest voluntary credential attainable to massage therapists and bodyworkers in the profession today. I am a professional member of and fully insured through the American Massage Therapy Association. I served for three years on AMTA's planning committee for the New England Region Conference which brings educational seminars to other massage therapists in New England.